A marketing firm is granting its non-smoking staff an additional six days of leave a year to make up for the time off smokers take for cigarette breaks. Piala Inc, which is based in Japan, introduced the new paid leave allowance in September after non-smokers complained they were working more than their colleagues who smoked. Following the suggestion, the company’s CEO Takao Asuka decided to give non-smoking employees extra time off to compensate, Mr Matsushima added. The Tokyo-based company is reportedly based on the 29th floor of an office block, meaning any cigarette break was lasting at least 15 minutes, according to staff. Mr Asuka hopes the scheme will create an incentive for the company’s staff to quit smoking. The holiday-compensation policy was only introduced in September, but it’s already proved popular with staff, with around 30 out of 120 employees having taken extra days off. Four of the employees even decided to quit smoking for good. UK employment law legislation dictates that if employees work longer than six hours a day, they’re entitled to one uninterrupted 20 minute rest break which could be a tea break or lunch break. Whether it’s paid or not depends on your contract. Smoking is a contentious issue to deal with at work. It’s hard to get the balance right between those who smoke and those who don’t, those who believe in vaping and those who consider e-cigarettes a risk to health. Some employers may turn a blind eye to those who go outside to smoke a cigarette during working hours, however, this is unlikely to be missed by their non-smoking colleagues who feel they are receiving less breaks because they choose not to smoke. A Japanese company has taken the extraordinary step of rewarding non-smokers with six extra days holiday a year to make up for the time their smoking colleagues spend on cigarette breaks. They estimate it takes around ten-fifteen minutes for each break but did not want to restrict smoking breaks entirely. The company believes cigarette breaks are a positive use of time as they provide the opportunity for colleagues to get together and talk about work or come up with ideas away from their desks. Instead, they hope the incentive will make people want to quit smoking to receive more holiday leave. It is up to the employer to put in place their rules about smoking at work. If they want to allow staff to take smoking breaks they should consider whether these are in addition to, or part of, employees’ normal break times. If extra breaks are provided, how this effects other non-smoking members of staff should be examined to assess the likelihood of complaints being raised about less favourable treatment. The fairest, and least risky, option would be to provide extra short breaks to all staff, who may or may not use these to smoke. This will also regulate the length and frequency of breaks and limit the amount of time lost during each working day. 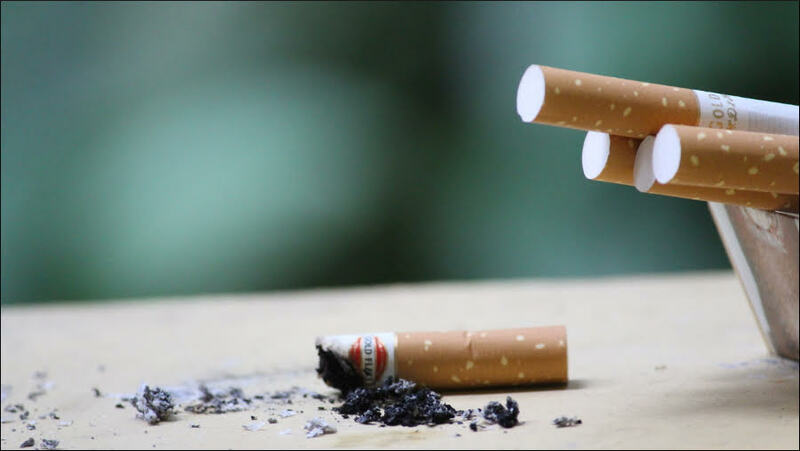 Employers are within their rights to restrict smoking during working hours, outside of any designated breaks. Due to the rise in popularity of e-cigarettes, employers should double check their smoking rules or non-smoking policies to ensure these include a prohibition on e-cigarettes.